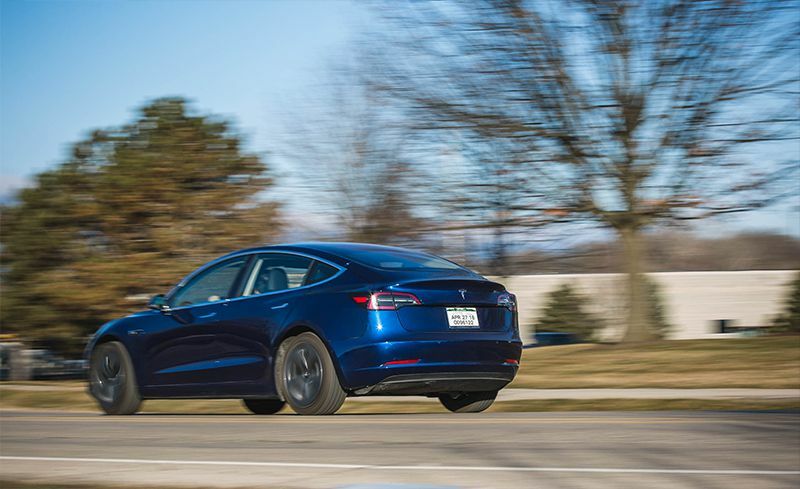 Tesla announced across the board price cuts for their vehicles at the end of February 2019. Does this mean the 2018 customers overpaid? Is this the price of being the first on the block with a Model 3? Many customers are upset that Tesla have reduced prices, headlines such as “Tesla owners are enraged that the Company cut it’s prices”. Despite significant price cuts of $6,000 I have calculated I am only $1,750 worse off for buying in October 2018. If I choose to add Autopilot or Full Self Driving then I will be $1,250 better off than waiting until now. Tesla have taken care of their existing customers by discounting Autopilot and Full Self Driving substantially for purchase after sale. For those existing customers who purchased Autopilot and Full Self-driving with their cars they are worse off because they paid full price for these software features. A quick analysis of the price changes since I purchased my car is shown below. I count myself lucky to have got my car at a fair price even taking into consideration a $6,000 price cut from the vehicles base price. Making an appointment for service is done via the Tesla App. You are able to enter a description of the service items you wish to have accomplished. I had created a Google Docs document with a list of items including photos of the issues I had experienced, I included a link in the service entry. Tesla had no issues accessing this and understanding my concerns. Traditional automakers are less tech savvy and would probably be unable to accept such a submission and prefer email, phone or face to face. Very convenient. I received a response from my local Tesla Service Center quickly. Some of the problems I reported are known issues and will be included in a future software update. Some problems reported such as a weak paint on the front door pillars is apparently how the cars are made with the top coat being applied with the car doors mounted on the car. I was assured the corrosion resistant base coats will protect the paintwork. A little weird, I asked that my concern be put on file should corrosion appear in those locations. 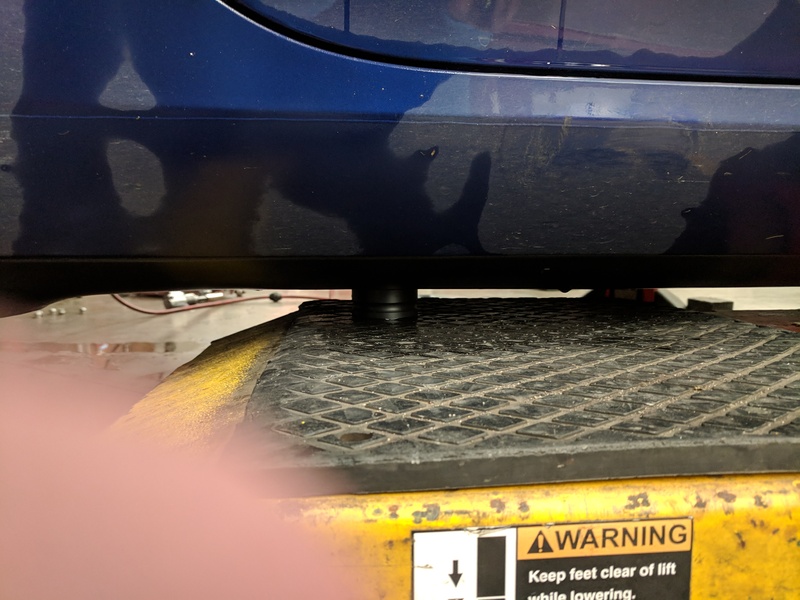 I had a tech examine the paint in person and he confirmed this is normal, I pointed out its the first I’ve seen like that ona new car and he acknowledged that improvements are being made to the manufacturing process all the time based on customer feedback. Occasional fogging of the rear passenger tail light is considered normal if it dissipates after 30 minutes of driving or less. In my case the fogging dissipated quickly so was not considered a fault to be fixed. Two of the six service items remained on the list for my visit to the service center. Brake squeal at low speeds in reverse and also a scheduled tire rotation. The only negative from the email correspondence I experienced is that my last question regarding if I would need to wait on the service or get a loaner went unanswered. I pulled into the service bay. At a traditional automaker, such as Nissan, I would be greeted within seconds and details of mileage and service items taken down, not so at Tesla!. Ungreeted I got my belongings I went through several doorways until I found the right one to meet a service writer. After this rather lonely experience, things went very well. The service writer Justin was very friendly, retrieved details of my service and confirmed items to be accomplished. As I handed over my card key I enquired about getting an additional card key which is available only through the service center. I was quoted $10 which I accepted. Tesla offered me a ride home or an Enterprise rental, I chose the rental. Nissan Frontier is my Enterprise Rental. We waited in the showroom waiting area for Enterprise to arrive. We were offered a cookie by a very friendly customer rep and enjoyed a Keurig brewed coffee. As usual Enterprise did a great job. After waiting for 5 minutes or so in the showroom waiting area I was greeted by an Enterprise rep who had my “car”. I did all the paperwork on a tablet device and was handed the keys. Other than show my drivers license I didn’t need to provide any other information, all information was transmitted electronically from Tesla to Enterprise. Very convenient for the customer. Good job Tesla and Enterprise. The only vehicle they had was a Nissan Frontier pickup truck.. Gas is included in the rentals for Tesla, so I had access to a full tank of gas without the need to refill. Upon return I handed the keys to Tesla and they arrange for Enterprise to pick up. Shame they don’t rent Tesla vehicles in Nashville. I received a text to advise me that my car was almost ready. Friendly text when car is (almost) ready for pickup. I was asked to arrive between 5 and 6 pm. I arrived 30 minutes before the time indicated in the text, left the rental car keys with the service writer and waited one hour for my car which was ready at 5:30. The waiting area is better than the average car dealership. 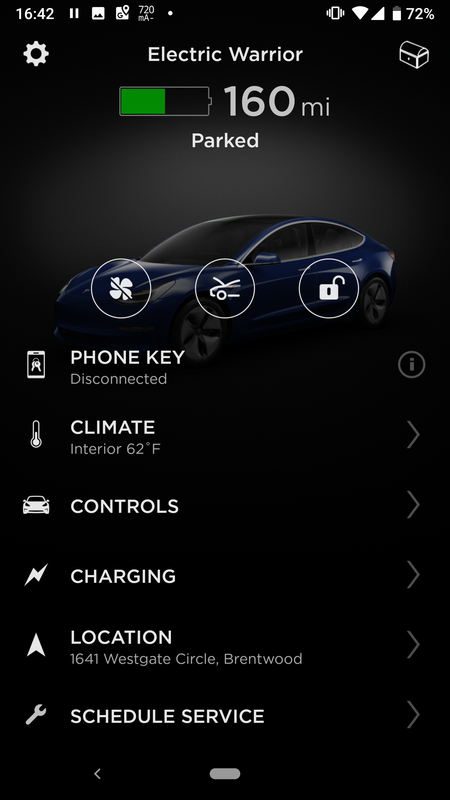 I noticed on my Tesla app that two key cards were added to my vehicle while I was waiting. All areas of concern were addressed. The car was washed and vacuumed at no extra cost as is customary with good car service. I enquired how the brake squeal was addressed, the service tech noticed a loose bolt on the brake assembly. They tightened the bolt which addressed the issue. I was assured the rotors were not damaged by the loose bolt. So glad I took the car in for what appeared to be a minor annoyance, it turned out to be a safety concern. Yikes!! Loose bolt in my brakes!! Tire Rotation costs $62.50, quite expensive. The brake repair was covered by warranty. I got one freebie from Tesla. Apparently they don’t sell single key cards, but sell them in pairs. Tesla provided the second key card at no additional cost and the credit for the second card was shown on my final paperwork. Tesla ask you to electronically sign the paperwork emailed to you within 30 days. I signed with a wet signature at the service center, so I’m not sure what this is all about. An electronic only signature would be fine, but both seems unnecessary. Given a lot of negative service experience reviews recently on YouTube, I found my experience to be really good. No complaints here. It was a cold, wet, dark ride home. I was tired and keen to get home. 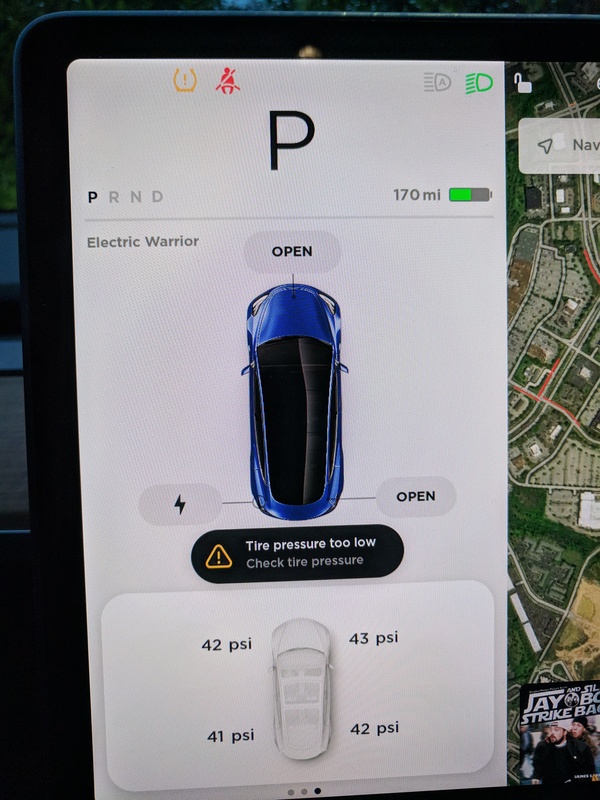 Then I saw and heard a warning on the dash of my Model 3 – Low Tire Pressure warning. The Model 3 displays the tire pressure on each wheel, I could see the rear right tire had lost over 10 psi and was at 30 psi instead of 42. After a few minutes it dropped to 29 psi. Rather than risk running the tire too low I stopped at a gas station and added air to the tire. After re-inflating the tire I could hear air escaping from the tire and it lost another 5 psi on the way home. Clearly this would not stay inflated until the morning to allow me to call by the Tesla Service Center, so I found the only tire shop still open at 6:30 pm. Tire Discounters of Hendersonville, TN. Just one week earlier I had purchased Jack Pads made specifically for the Model 3 from Reverse Logic. 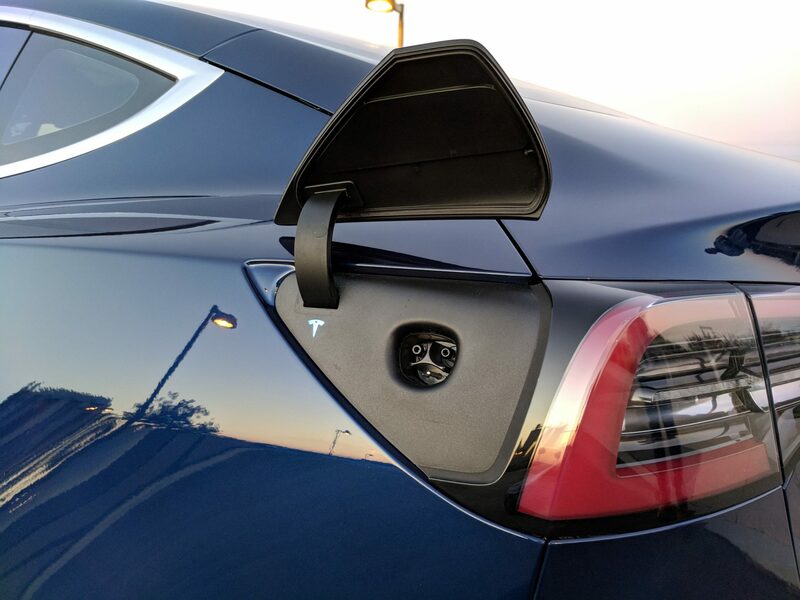 The Model 3 has small and specific jacking points and a Jack Pad is required to allow for safe jacking of the vehicle using standard jacking equipment. If a Model 3 is jacked without these pads it is possible the plastic aero covers under the car will be damaged or even worse damage could occur to the rocker panels or the battery pack. As the owners manual states, damage caused by improper jacking procedure is not covered under warranty. Jack Pads keep the vehicle underside separated from the Tire Shop jacking equipment. If you don’t have these pads then calling Tesla Emergency Roadside assistance is the safest option. In the photo you can see the Reverse Logic Jack Pad sandwiched in between the car and the lift. The Model 3 has foam glued to the inside of the tire to reduce road noise from the tires. To make the repair Tire Discounters cut a 3 inch square out of the foam to provide access to remove the screw embedded in the tire. 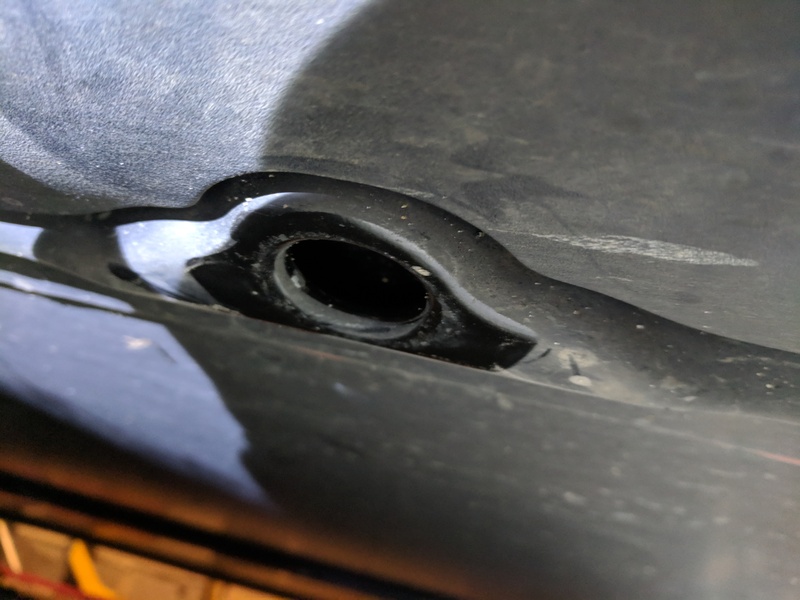 The technician had to do the repair twice, the first time he had not removed all of the adhesive that holds the foam in place which caused a leak. Once the repair was good the tire was balanced and fitted back on the car. Lug Nuts Were Re-Tightened to 129 Ft Lbs. Tire Discounters knew to lookup the correct Lug Nut Torque setting, which happens to be 129 Ft Lbs for the Model 3. The technician remarked that the Tesla uses standard lug nuts, which for some reason surprised him. He also remarked the wheel looks better without the Aero Wheel Covers. Wish the Aero Covers came in different colors. 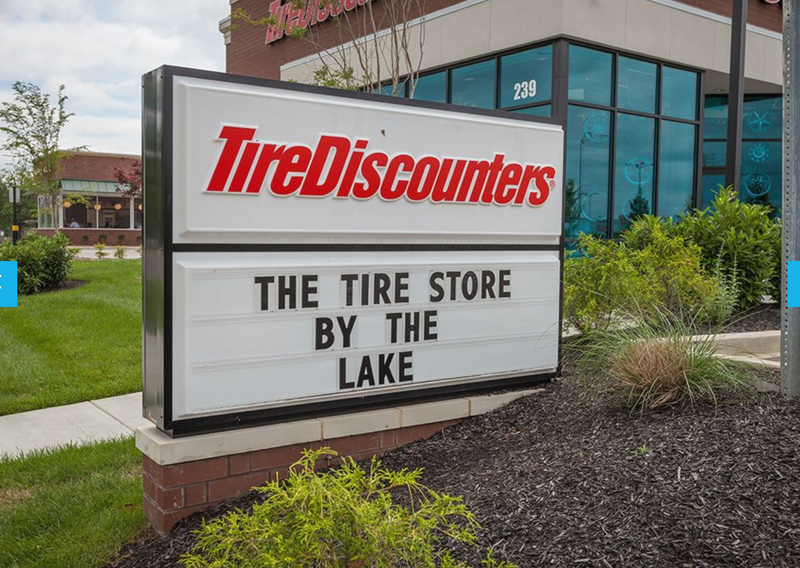 The best part of the service from Tire Discounters is that they did not charge a penny to perform the repair. I promised them a ride when the weather is better and it isn’t time to home at the shop. They seemed happy with that barter deal. Great service provided just minutes before Tire Discounters closed for the evening, all for free. Thanks guys, I’ll be back to give you the ride of your life, and again to buy my first set of tires. Despite the tire being repaired and the car shows 41 psi tire pressure the warning persists. I googled the process and didn’t find anything straight away. I emailed Tesla Customer Support to see if they can advise me. I’m waiting for the response which I’ll add to this post once I find out the process. The low tire pressure warning did eventually go away on its own after three journeys. I never received a response to my email to Tesla Technical support. I called by the service center to ask what tire service they can provide. 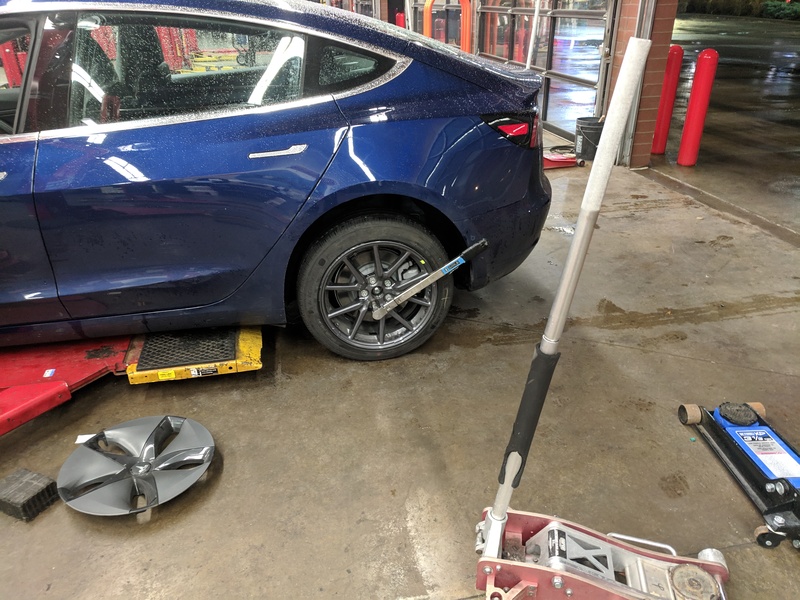 In an emergency the Tesla Roadside Assistance will make arrangements to get your vehicle towed to a repair facility or alternatively fit a loaner wheel and tire and get the flat tire repaired. You visit the service center once your wheel and tire are fully fixed. 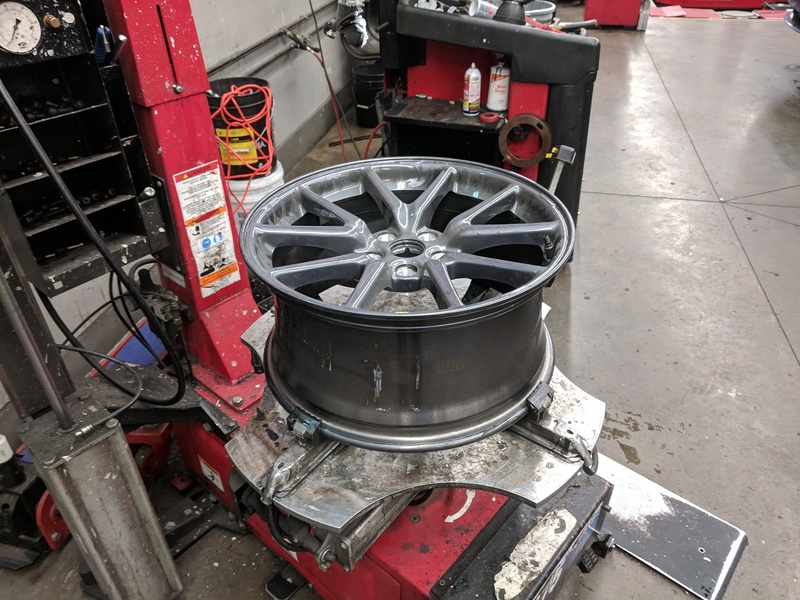 The Service manager indicated they encourage Tire Shops to work on Tesla vehicles and in no way want to corner the market on Tesla Tire Repairs. 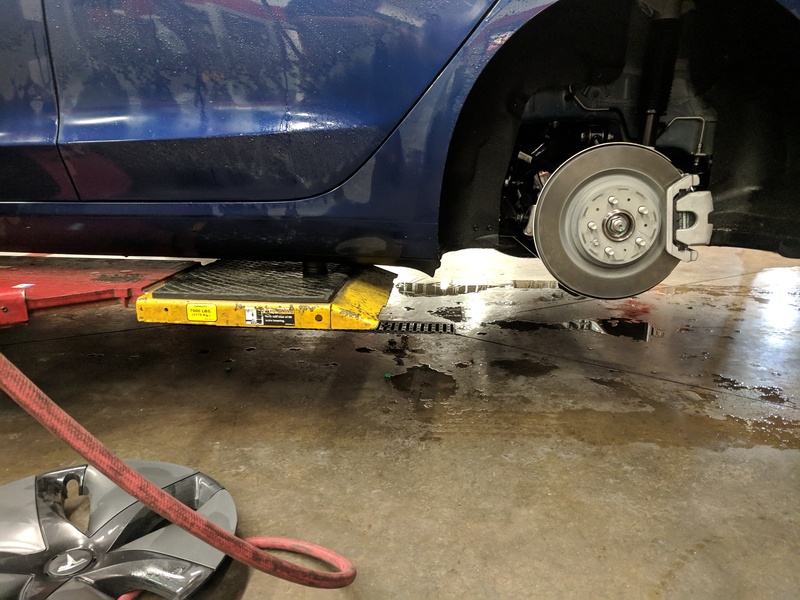 Tire shops don’t have the necessary jack pads, maybe Tesla should consider providing local shops with jack pads and jacking instructions to ensure both Tesla customers and Tire Shops are comfortable with getting work accomplished on the vehicle. Update: 2019-02-03 Tesla Finally Respond to my question. As I found out you have to drive the car for a bit before the warning goes away. If you have a question for Tesla’s email support, don’t expect a quick response. We maybe in “Support Hell” at the moment. At least they did answer my question accurately first time. I have just one question to leave you with. Once all the gas stations are closed after we are all driving Electric Cars, where will we stop to add air to our tires? What’s the answer Elon? Tesla Air Pumps (TAP) delivered by drone? ….With a porcupine the pricks are on the outside. Fancy cars beget fancy behaviour. In the video below watch a BMW driver cut across two lanes in front me and brake check the car next to me in the hammer lane, after which he/she resumes speeding and takes off. I was tempted to zoom past the BMW and return the favor, but that would just make me as bad a driver and potentially create a road rage situation. Bad drivers are best ahead of you where you can keep your eye on them. In another incident a Mercedes decides that it’s best to take the left fork from the rightmost lane. I flashed my lights to let him/her know that the maneuver was not welcomed. You can see in the thumbnail below the Mercedes was awfully close to clipping my front end, very dangerous. It seems many people on my morning commute are out to kill me. Good job the Tesla Model 3 is the safest car on the road today. These video are from the Tesla Model 3 front camera which doubles up as a dashcam. Both of these videos are taken at about 6:30 am when it is still quite dark, the quality of the model 3 dashcam leaves something to be desired in low light conditions. Maybe Tesla can fix this in another over the air update. The premium interior is included with currently available configurations, in the future it will be an option. The option is rumored to be worth $5,000. Worth every penny. 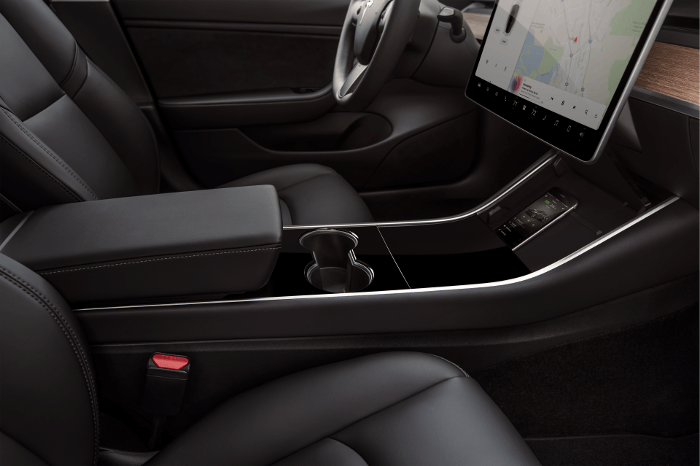 Of all of the features available for the Model 3 this is the one to get, you’ll enjoy the benefits every inch you travel. Other options maybe useful from time to time, this one keeps on giving. It’s hard to put into words how comfortable these seats are, I arrive relaxed and rested after driving. The premium interior also comes with the panoramic all glass roof. A neat feature but overrated in my opinion, sunlight overhead can be annoying at times as it shines through the roof into the top of your vision. Overtaking is effortless with this vehicle, other than overtaking I can’t see a need for acceleration this powerful as it pushes you back into your seat with a force I can only describe as brutal. The performance model is even quicker, yikes! Despite the availability of aggressive acceleration, the car can be driven very slowly and smoothly from a dead stop, the accelerator is intelligently setup. You can drive the model 3 like a Cadillac or like a Corvette, your choice. The minimalist interior has a large touchscreen monitor that houses almost all functions of the vehicle including windscreen wipers and lights. Until you’ve driven a Model 3 it’s hard to understand how you can drive without separate wiper or light controls. However these functions are fully automatic. The wipers activate when it rains, the lights when it gets dark and the high beams are also automatic. It is possible to flash high beams with the stalk like most cars and if the automatic wiper is a tad too slow for your liking you can tap the windscreen wash button on the end of the stalk for a quick wipe. Automation of functions is taken to a new level with the Model 3 which is how they were able to eliminate all but 3 buttons from the dash. The hazard warning light button is required by law and is located above the rear view mirror. 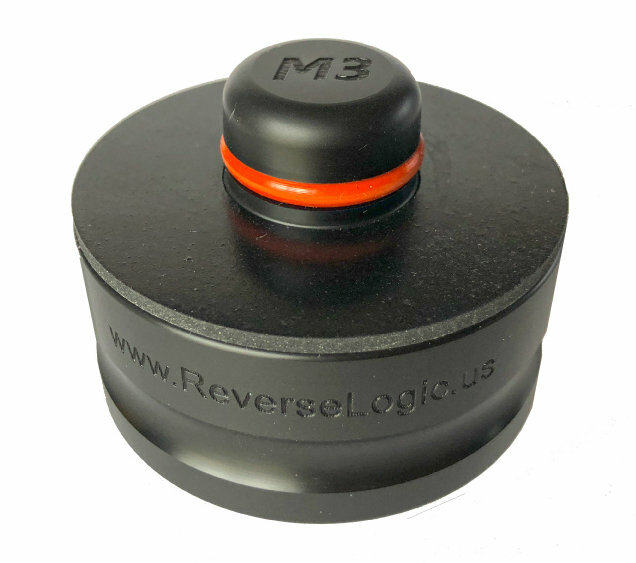 The other two buttons are on the steering wheel where you will find scroll wheels that also act as buttons when depressed or pushed from side to side. The elimination of the binnacle with the speedometer/indicators/dials is very controversial, causing many to cancel their reservations. For someone who grew up driving a mini, with its center mounted binnacle, I don’t understand what the fuss is about. The speed is just to the right of my right hand as I drive, hardly inconvenient. Audible speed alerts are available, and quite frankly much more useful for complying with speed limits. Complying with speed limits is the *only* reason you need to know your speed, audible alerts are far more effective at compliance than occasionally glancing at the speedometer. Buy as much hardware as you can up front, software can be purchased later. 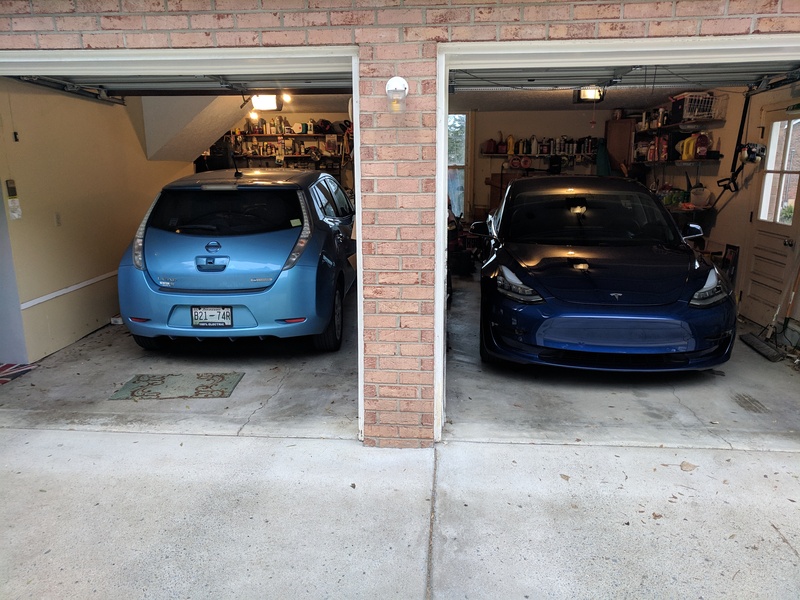 Leaf and Model 3 side by side both juicing up at the same time. I opted for AWD instead of autopilot. You can’t add options like the premium interior or AWD later. Features such as autopilot or full self-driving can always be added later. 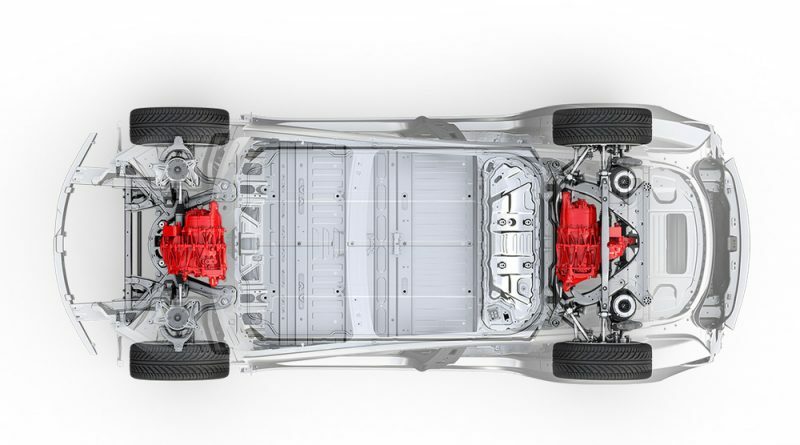 There is strong evidence that the only difference between the AWD vehicle and the performance Model 3 is a software configuration limiting power to the rear motor on AWD vehicles. I expect to see an upgrade available in the future to add performance if you wish. Tesla have started making features such as AutoPilot more and more expensive when purchased later to encourage customers to buy these options up front. Autopilot comes with lots of features. It’s quite conceivable that Tesla could unbundle the autopilot package and sell Traffic Aware Cruise Control (TACC) separately for a few thousand dollars. I prefer the wait and see approach, I will buy autopilot when it’s ready for prime time and no longer beta software. Right now it’s in Tesla’s interest to boost the average sales price of new cars while they work through their backlog of reservations. Later, once the backlog is met and demand is consistent Tesla will want to generate extra revenue from the existing fleet of cars by selling software options to them, expect discounts and special promotions once the reservations have been met. For a quiet car it’s quite noisy. The whine from the front motor and gears is distinctive and a little intrusive at around 30-50 mph, especially when maintaining a steady speed. Under gentle acceleration a growl is heard from the front motor and gears. It’s a “woody” sound, not at all “tinny”. something that might appeal to ‘piston heads’ who dislike totally silent electric cars. Personally I could do without it. Better sound proofing for AWD vehicles should be considered by Tesla. The new Nissan LEAF is much quieter than the AWD Model 3. I haven’t driven the RWD Model 3 to know if the rear motor whine is intrusive or not, I suspect not. Proprietary Tesla charging connector is a nuisance. I’ve only used a Supercharger once, just to prove that I could do so using my Tesla account. Every other time I have charged my vehicle I’ve had to use a J1772 adapter. I already have a charging station in my garage which I want to keep, I don’t want to spend $400-$500 for a Tesla specific charging station when I have a perfectly serviceable charging station already in my garage. 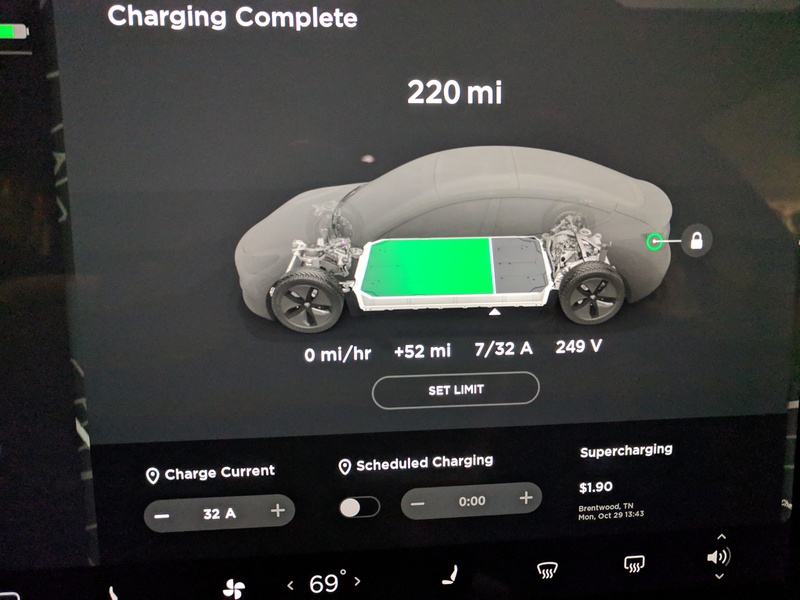 In Europe Tesla’s all use the standard “Type 2” connector regardless if they are supercharging or charging slowly on a household outlet. One connector for all situations. Makes sense. I resorted to buying a second J1772 adapter from eBay. Tesla’s price for an adapter is overpriced at $100. I will leave this second adapter permanently attached to my home charging station. Tesla Mobile App is very good. 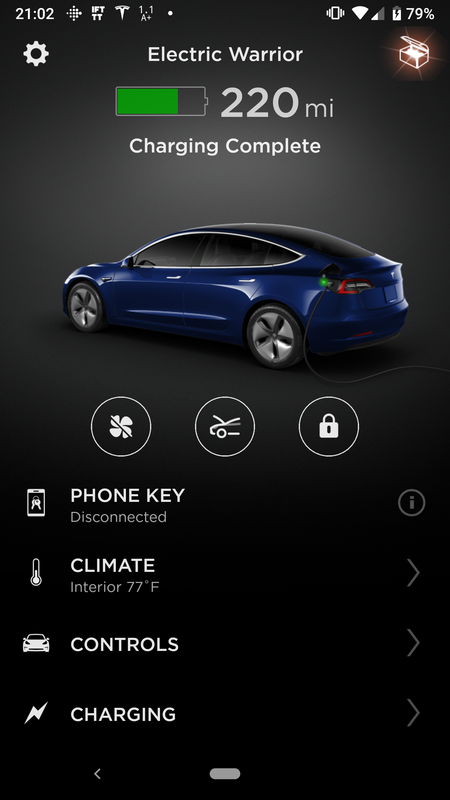 The Tesla mobile app is awesome. It is quick to connect to the vehicle and has a lot of very useful controls and features. Knowing the interior temperature is very handy. With my LEAF I would turn on climate control anticipating a cold or hot interior. With the Tesla app I can see the actual interior temperature and know if its worth turning the climate control on or not. The vehicle’s current location is very precisely identified on a map. my wife has found this particularly useful being able to see where I am on my commute home, and what speed I am travelling at. Maybe not the best feature if you have mistress or toyboy, but great for the rest of us. Mobile key isn’t that great. Using your mobile phone as a key is a great innovation. Genius in fact, if it worked reliably that is. It can take 15-30 seconds before the mobile phone will enable the car to start, a very long-time if you are in a hurry. This issue seems to be worst with Android phones, I have a Pixel XL phone. Too bad, despite the problems I have not carried a bunch of keys in my pocket since getting the Model 3, I leave them in the bedside drawer at home now. Our home is keyless entry as well so a keyless entry car is a perfect companion. Here’s hoping Tesla fix the issue soon. In the meantime I place my wallet next to the cupholder to ensure the car starts when I want it to. I have the backup “credit card” key in my wallet. I will probably buy the optional key fob when it’s available. Handing a credit card key to a valet or third party repair shop will pose problems for them in storing the credit card key with other car keys which are normally hung on a hook. As innovative as it is, the rest of the world isn’t ready for it (yet). The long range AWD Model 3 has a real world range of 306 miles. Hunting down public charging stations in order to complete a busy day on the road is a thing of the past. I do still frequent Whole Foods and take advantage of their free EV charging, not because I have to, but because I want to support merchants that support EV’s. It doesn’t hurt that I get 25 free miles of driving during my lunch break. With my LEAF I got just 8 or 9 miles during for the same time period, the Model 3 charges so much more quickly. ​If you buy a Tesla Model S, Model X or Model 3 through the link below, you’ll get six months of free Supercharging. 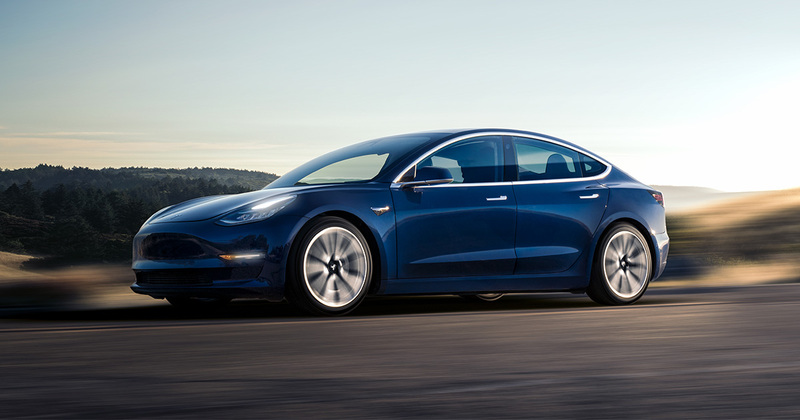 If you buy without a test drive you receive an extra three months of supercharging for a total of nine months free supercharging and you retain the right to return the vehicle and get a full refund for up to 3 days if you don’t like it. Essentially you get a 3 day test drive. Back in 2012 I started a ICE Hall of Shame to highlight gas car drivers who blocked EV charging spaces. 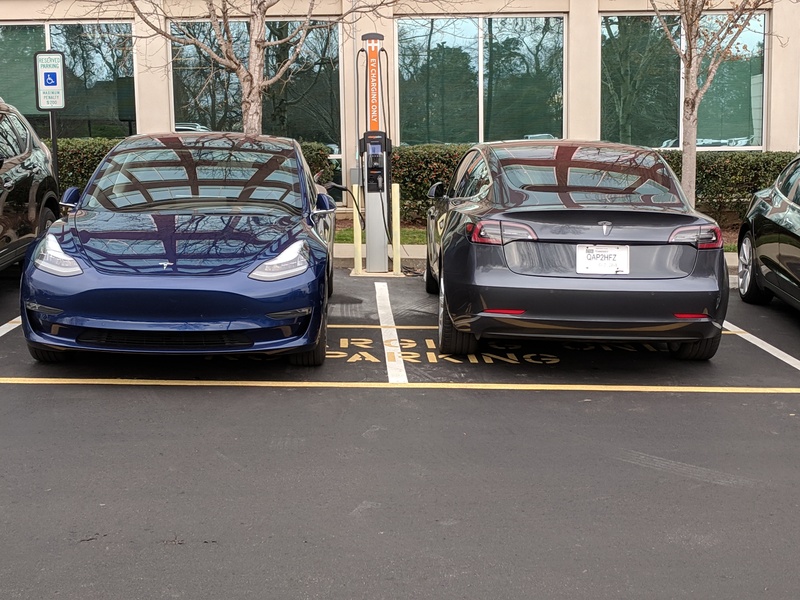 Fast forward to 2018 and EV drivers are now beginning to show poor etiquette when parking their vehicles. EV Hole is the name used when an EV driver parks in a charging space but does not even bother to plug in and uses the space for parking only. Here’s our first entrant, spotted in Franklin TN at the McEwen building. 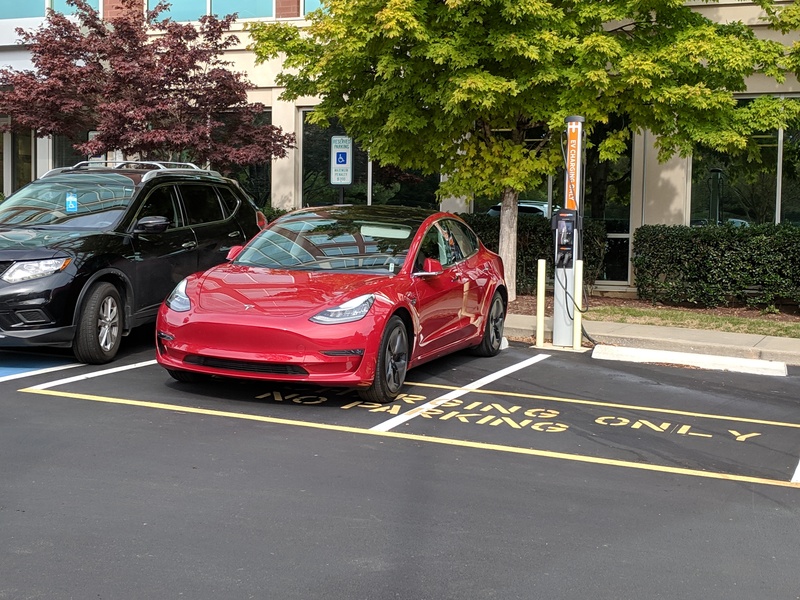 The signage on the ground says EV Charging Only, No Parking. The second entry into the EV Hole Hall of Shame was also parked at the McEwan building in Franklin. This one had temporary tags. New EV drivers may not realize what they are doing, at least until they are inconvenienced. 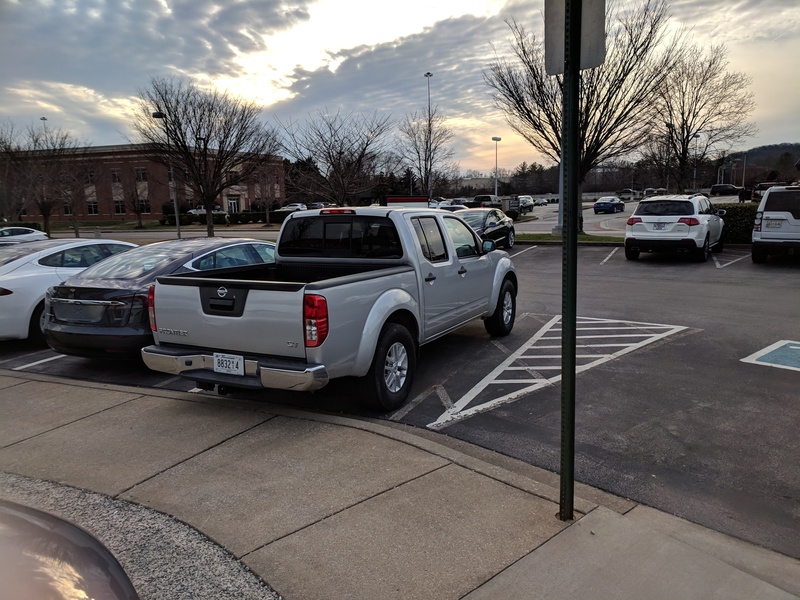 Shown below is the latest example of very poor EV etiquette. 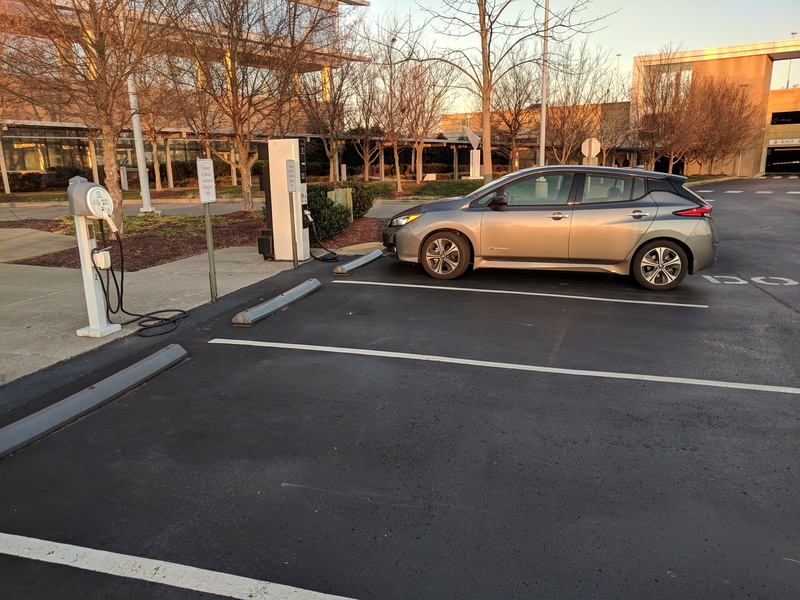 An EV Hole parks their LEAF in a CHAdeMO bay and does not plug in preventing others from charging. The parking lot was largely empty. Why? Ignorant LEAF driver block CHAdeMO charger in an empty parking lot.